Hiliya Resort is situated at Kenichira in Wayanad Hill Station of Kerala, popularly known as 'God's Own Country'.It's services and capabilities are in the sector of tourism and leisure industry along with organic farming, agriculture and livestock development. 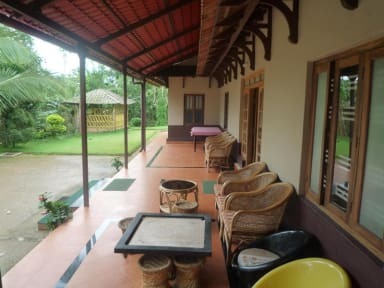 Hiliya Resort is a real experience to stay in a seventy five years old Kerala style heritage bungalow ,cottages or deluxe rooms surrounded by acres of organic farm with spices, fruit trees and livestock. The farm is situated on a river bank that grows cardamom, vanilla, coffee, pepper, ginger, turmeric, coconut, arecanut, rubber, banana, mango, jackfruit, vegetables etc. with hens, ducks, birds and rabbits playing around. Tippu and Judy, two well-trained dogs add to the attraction and security along with the barbed wire fence. Across the river is a tropical forest with wild life animals, birds and a wide spectrum of flora fauna. 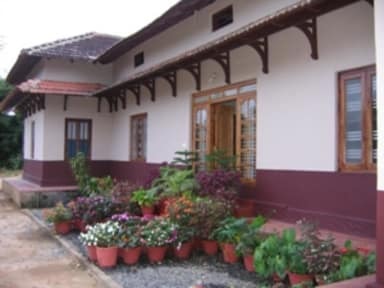 Due to our unique location and ability to provide quality services Hiliya Resot has emerged as a leading name in Wayanad- Kerala tourism.